BEIJING, Dec. 16 (Xinhua) — China’s foreign trade will maintain steady growth in 2018, as the country’s economy posted stable performance amid mounting external uncertainties, according to a report released by the Ministry of Commerce. China’s foreign trade saw fast growth in the first three quarters, the report said. The country’s goods trade rose 11.1 percent year-on-year to 27.88 trillion yuan (about 4 trillion U.S. dollars) in the first 11 months this year, customs data showed. 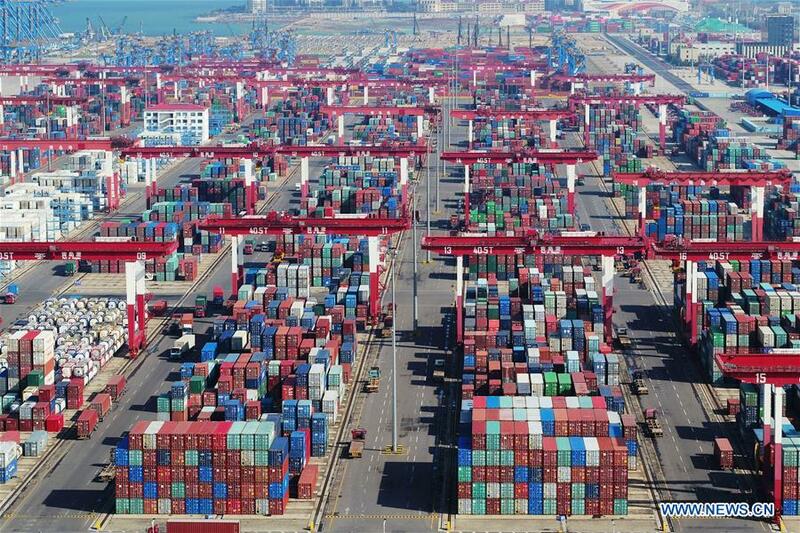 Exports rose 8.2 percent year-on-year to 14.92 trillion yuan in the January-November period while imports grew 14.6 percent to 12.96 trillion yuan, resulting in a trade surplus of 1.96 trillion yuan, which narrowed by 21.1 percent. However, the growth of foreign trade might be pulled back because of a high comparative base during the same period last year, the ministry added. The report also said that the Chinese economy currently showed many favorable conditions to sustain medium-high growth and move toward a medium- to high-end level, laying a solid foundation for the development of foreign trade. The fundamentals of China’s economic development have remained steady and positive over the past 11 months. China’s gross domestic product posted an increase of 6.7 percent year-on-year in the first three quarters, above the government’s target of 6.5-percent.